Over the past thirty years remarkable advancements have been made in the field of steel processing. In recent years, there has been a real intersection between steel fabrication and processing practices with technology and software. Steel processing and fabrication processes require high levels of precision and reliability. While traditional methods will always remain at the foundation, modern machinery and technologies are allowing advanced steel processing facilities to really push the envelope. Technological advancements have essentially allowed for a seamless transition between modern imaging and software with processing and fabrication. In this new and exciting phase, 3D imaging technology can be used to create a digital snapshot of an existing building, construction site, or any desired space. A draftsperson can use this geographical model to build and isolate the required structural steel materials with extreme precision. Advanced software allows the draftsperson to create complex steel structures and designs, and specify all required project materials from connections and bolts to beams and braces. All of the input digital information works in seamless unison with the machinery. Drafting information and material detail can be fed through to the machinery allowing jobs to be tackled with greater precision and efficiency. Bridge Fab are one of only a few steel processing facilities in Australia offering this new unprecedented technology and machinery. 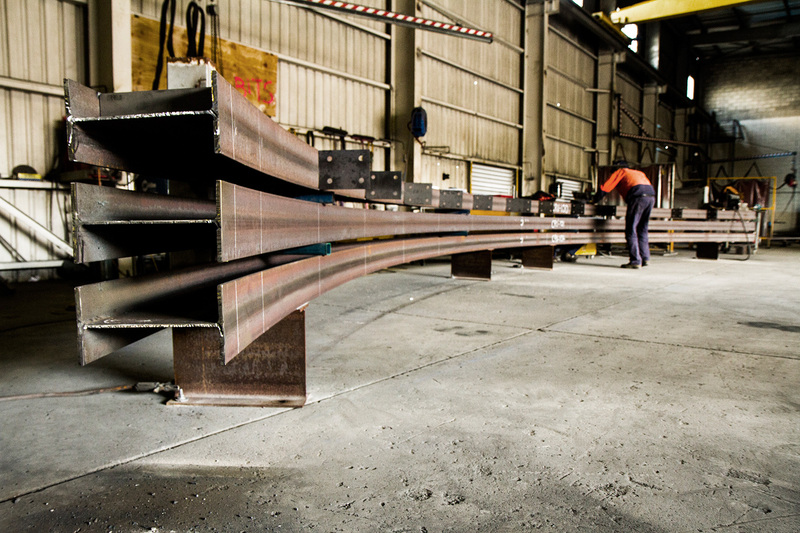 We are excited to be at the forefront of the progression of steel processing in Australia, and because of this, we are offering our services, technology and machinery to other steel fabricators. If you’d like more information about the steel processing services we offer at BridgeFab, please don’t hesitate to get in contact with us.